As part of its focus on educational activities, Dipylon, collaborates with Duke University (Durham, North Carolina) and the American College of Greece - Deree (Athens) for the course Imag(in)ing Athens: Art and Archaeology of Ancient Athens. It is a joined course team-taught by professors at both Duke University and The American College of Greece-Deree and supervised by Sheila Dillon (Duke) and Liz Langridge-Noti (ACG). The visible archaeological remains of Athens from the Classical to the Roman times act as a focus to explore the changing face of the city through in-class and cross-continent reading and debate, digital creation and on-site exploration. Teamwork between students in Greece and the US is a major component of the course, whiler a one week on-site trip to Greece for the Duke students permits intensive on-site exploration of the ancient city with their ACG counterparts. 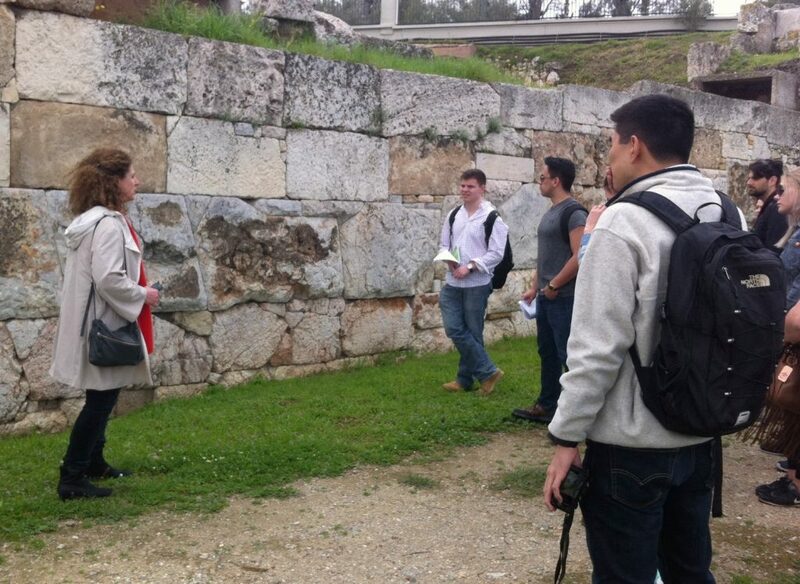 During their last visit in Athens, Dipylon members organised on Monday, March 13th 2017, an educational tour of visible remains of the city-wall and ancient streets of Athens.